Drug firm Lupin on Friday said it has received an establishment investigation report (EIR) from the US health regulator after the successful inspection of its Nagpur facility. 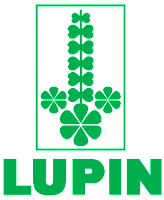 The plant was inspected by the United States Food and Drug Administration (USFDA) in May 2018, Lupin said in a filing to BSE. Commenting on the development, Lupin MD Nilesh Gupta said, "The successful completion of the Nagpur facility inspection is a positive development as we continue our journey to meet and exceed international regulatory standards." Earlier in May, in a regulatory filing Lupin had said that the USFDA had completed inspection of the Nagpur facility without making any observations. Shares of Lupin were on Friday trading at 903 per scrip on BSE, down 0.07% from its previous close.